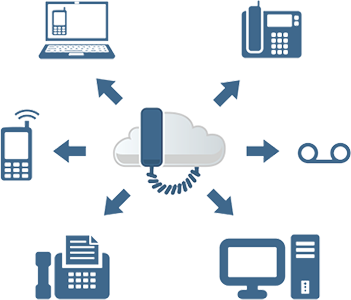 Connect any SIP Phones and SIP Softphones to Microsoft Lync or Skype for Business Server with full support of the most important enterprise telephony features. 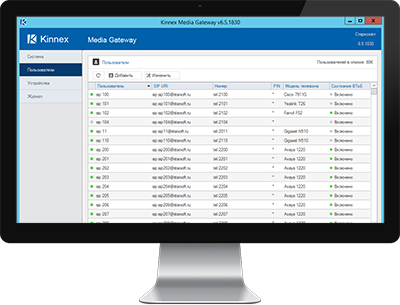 Kinnex MediaGateway gives you the opportunity to use SIP Phones and SIP Softphones for building Enterprise Unified Communications Infrastructure based on Microsoft Lync or Skype for Business Server. Phone calls to number and SIP URI, hold, transfer. 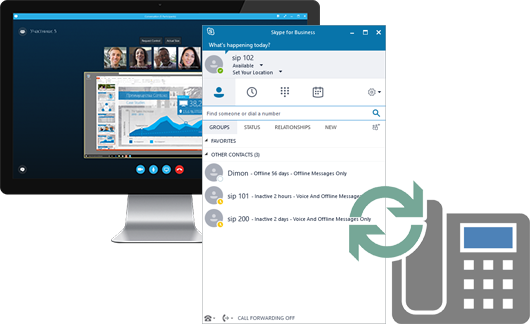 SIP phone presence synchronization with Skype for Business client. Access to Skype for Business client contacts via Remote Phone Book. Support of topologies with multiple Front End pools. Mass deployment through Auto Provisioning. Deep integration of Cisco IP Phones. Combine convenience and practicality. Kinnex BToE Connector allows you to pair Skype for Business client with SIP Phone through BToE technology. Any content from the website can be used only with the consent of the copyright owner.